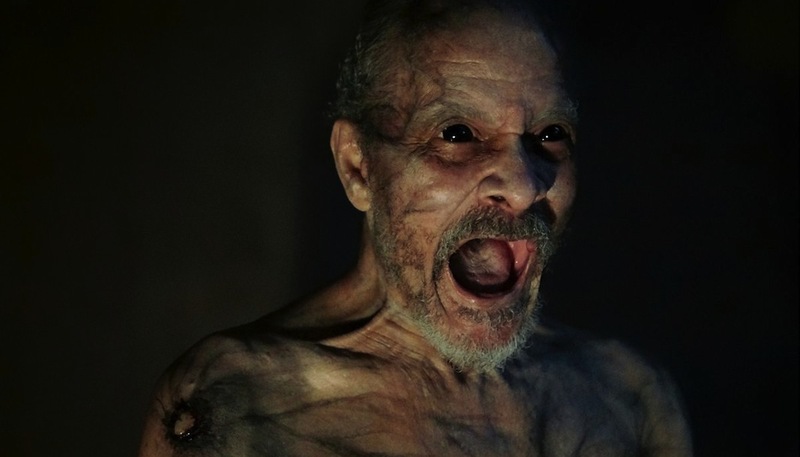 Having watched the movie It Comes At Night in its entirety, I can honestly say that I don’t know what the hell comes at night. And as much as I like the film, this fact reflects the misleading nature of its marketing. 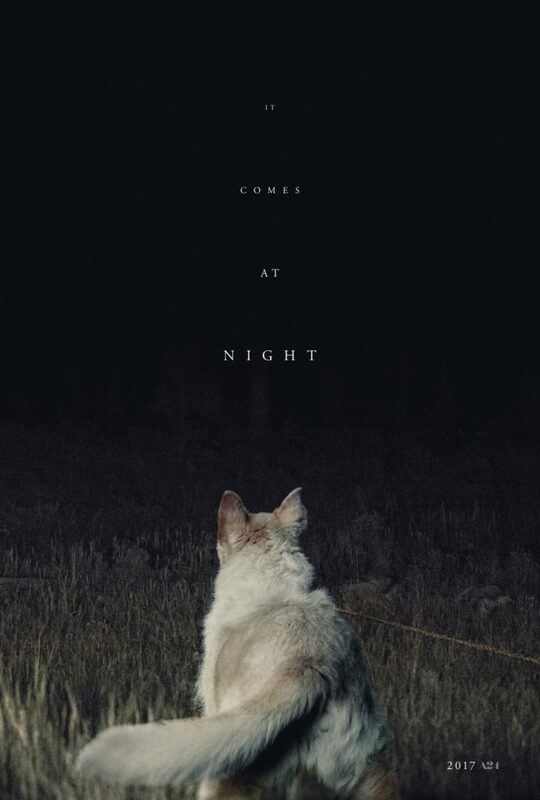 Between the title and the scenes cherry picked for the trailer, it feels like it’s being positioned as a creature feature with a nocturnal “big bad” — be it a physical being or a spiritual entity of some sort. This not only sets up viewers for an expectation the movie can’t fulfill, but it also undermines and underestimates the film’s strengths. It feels like someone in the studio — or even the filmmaker himself — didn’t have faith that this had the mass appeal to justify its wide release (on a hefty 2,500-plus screens, critical darling A24’s widest opening to date), and honestly, rightly so. This is a small, indie work. It’s a bleak, uncompromising, decidedly non-Hollywood feature whose “big bad” comes from within (and not in an exploitive, Cabin Fever virus sort of way) rather than without, and even though it lacks mass appeal, it’s certainly strong enough to stand on its own merits rather than being put forth as something it isn’t. Frankly, certain scenes feel like they were added largely to pump up the popular appeal and boost the trailer’s reach amongst horror fans, when in fact they don’t add a whole lot to the story and become a bit tiresome and repetitive. With that rant out of the way, let me say that I liked It Comes At Night. In it, writer-director Trey Edward Shults continues to develop the sort of intimate portraits and painfully realistic interpersonal dynamics that garnered praise for his feature debut, the family drama Krisha. ICAN likewise centers around personal interactions and the vulnerable nature of trust, but it shifts the setting to a more traditional genre location: a cabin in the woods during a deadly pandemic. 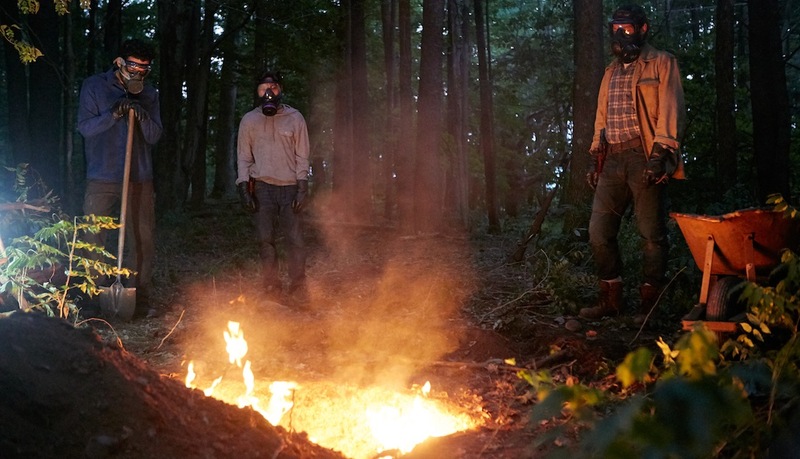 There, a family of three — father Paul (Joel Edgerton), mother Sarah (Carmen Ejogo) and 17-year-old son Travis (Kelvin Harrison, Jr.) — live in boarded-up isolation, wary of the potentially deadly outside world. When a man (Christopher Abbott) arrives seeking help for him and his wife and kid, they must decide whether to help — giving rise to tension, distrust and paranoia. Basically, it’s The Walking Dead without the walking dead, reiterating that show’s recurring theme that it’s man’s inhumanity — not zombies or whatever the contagion of the moment is — that is the greatest danger. It’s a common sentiment in apocalyptic fare, from The Road to Mad Max to Time of the Wolf, so in that sense, ICAN isn’t particularly original, but it is well done. Like Krisha, it conveys a palpable sense of impending doom amidst the looming tension within the group, and also like Shults’ previous film, it features extended shots using floating camerawork that hints at something eerie and ethereal. It’s as much atmosphere as it is substance — although thematically, it does carry some heft, and its emotional crescendo is wrenching. I found the racial makeup of the central family — Sarah and Travis being black and Paul being white — interesting for a number of reasons. First, the casting seems to be color blind, because race is never mentioned or implied as relevant to the story. However, genetically speaking, it seems unlikely the relatively brown-skinned Harrison would be the spawn of Caucasian Edgerton and mixed Ejogo, so I began to wonder if this was just artistic license or if Travis was not meant to be Paul’s biological son — a fact that would feed into the schism that grows between the characters throughout the film. 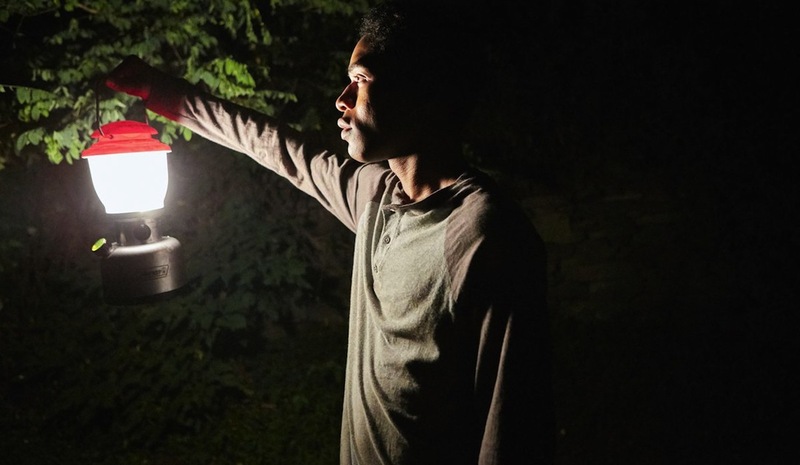 It Comes At Night is a riveting, emotional affair whose frustrating nature mirrors the frustrations of the human condition. I only wish it felt like the “powers that be” had more confidence in the film that it is — a tense, dramatic psychological thriller about the inhumanity born from desperation and self-preservation — rather than trying to present it as something easier to shoehorn into a more mainstream mold. The gateway to Hell is less impressive in person. Why do white people always want to share their drinks? The perils of drawing the short straw for Deliverance LARPing. Not even death could keep Harold from his early bird special. I really liked this movie. I too, expected to see what exactly was supposed to be coming at night. But…I guess it came during the day when they went and got it. Should have left it where it was or let the stranger leave and never come back like he said he was willing to do. He really coulda kept it to himself. Also, I assumed Paul had been adopted by the old guy in the beginning, and that he married Sarah after Travis had already been born. That family’s portrayed chemistry seemed like Paul grew up in the home, and that he had raised Travis from birth. Besides their mismatched races, one couldn’t tell that they weren’t natural father and son. Thanks for reviewing this! I feel like this film went totally under the radar.